Luis Buñuel hanging out with Carlos Saura, 1977. Satsuo Yamamoto and Mikio Naruse hanging out. If you have more info about this photo, write to me below. Lucio Fulci & Mario Bava hanging out, undated, unknown photographer. 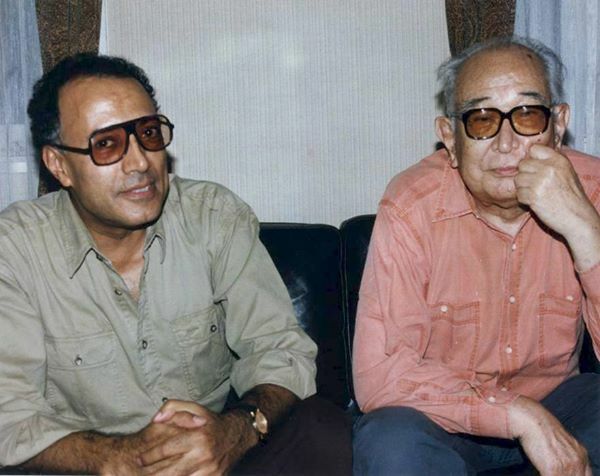 Akira Kurosawa & Abbas Kiarostami, undated. Thank you Mikel Guillen for this contribution.